This activity is ideal for groups. It includes mainly catamaran, windsurf, paddle surf and canoe. They are organized in such a way that everyone practice all activities. 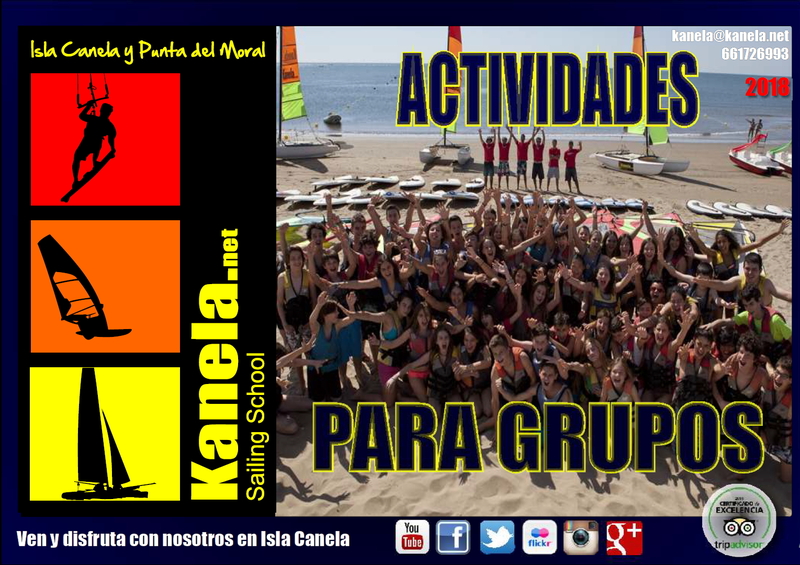 For specific groups, it can be added pedal boats, catamarans for children, surf or introduction to kitesurf. The timetable is four hours straight, although it could be six hours separate in two sessions, one in the morning and another in the afternoon. Once the group arrived to the beach, the crew make an introduction and the group is divided in subgroups. One or two instructors are assigned per activity and all of them start at the same time, so that, everyone remain active. In each activity, a small theory class is done and the rest of the time is in the water practicing the different sports. The introduction to kite surf consists in an explanation of the kite’s use. After that, it is practiced on the ground.